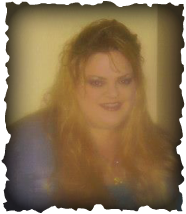 Hi, I am Ms. Slippey and I am the 2013-2014 Special Education Teacher at Eldorado Schools. I am from Mangum, Oklahoma and currently still reside there. I got my BS degree at The University of Oklahoma, in the Science of Education--Special Education. I am endorsed and licensed by the State of Oklahoma to teach Mild/Moderate to Severe/Profound students with disabilities. I am excited to be working with the Eldorado schools, staff, students, & community this year. I am a die hard Tiger, Sooner, and now.... a Panther!! !